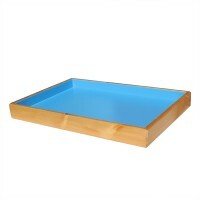 Sandtastik Oak Sand Therapy Tray Beautifully handcrafted in Canadian oak with sky blue interior. Sandtastik's Play Therapy Sand Tray has all rounded edges and corners making this a child-friendly play therapy tool. 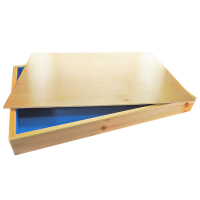 Designed for function and durability in a therapy or home setting, this stylish sand tray has the perfect dimensions for engaging a child’s mind and ..
Sandtastik Pine Sand Therapy Tray Beautifully handcrafted in Canadian pine with sky blue interior. Sandtastik's Play Therapy Sand Tray has all rounded edges and corners making this a child-friendly play therapy tool. Designed for function and durability in a therapy or home setting, this stylish sand tray has the perfect dimensions for engaging a child’s mind and allowing th..
Sandtastik® Sand Table & Chairs 3pc Set Set includes: 1 sand table, 2 chairs Quality, Style, and Customer Satisfaction Guaranteed The Sandtastik® Sand Table and Chairs is handcrafted using Canadian Pine wood allowing for both a great look and reliable craftsmanship! Smooth edges and a large interior surface make this the perfect sand table for..
Birch Lid for Sand Tray This lid fits on top of the Pine Play Therapy Sand Tray and Oak Play Therapy Sand Tray (sold separately). ..
Sandtastik® Lid for Sand Table This lid fits on top of the Sandtastik® Sand Table (sold separately). ..
Sandtastik® Sand Table Smooth edges and a large 24 in. by 24 in. 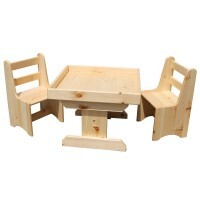 interior surface make this the perfect sensory or craft activity table for kids at play! 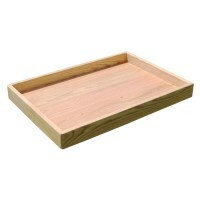 Handcrafted using Canadian Pine wood allowing for both a great look and reliable craftsmanship. No assembly required! Ready for use right out of the box! 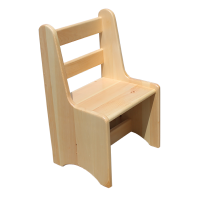 Specifications: Material: Pine Dimensions (table): 24L x 24W x 18.6..
Sandtastik® Chair for Kids Sand Table The perfect height for children to sit, play, and create! 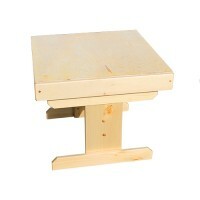 Handcrafted using Canadian Pine with smooth edges and size conveniently to fit under Sandtastik® Sand Table for tidy storage when not in use! No assembly required! Ready for use right out of the box! 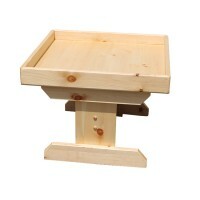 Specifications: Material: Pine Dimensions (chair): 13.5L x 11.25W x 21.75H in W..
Sandtastik Pine Sand Therapy Tray Beautifully handcrafted in Canadian pine. Sandtastik's Play Therapy Sand Tray has all rounded edges and corners making this a child-friendly play therapy tool. 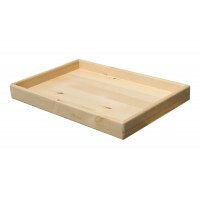 Designed for function and durability in a therapy or home setting, this stylish sand tray has the perfect dimensions for engaging a child’s mind and allowing them to freely express th..
Sandtastik Oak Sand Therapy Tray Beautifully handcrafted in Canadian oak. Sandtastik's Play Therapy Sand Tray has all rounded edges and corners making this a child-friendly play therapy tool. Designed for function and durability in a therapy or home setting, this stylish sand tray has the perfect dimensions for engaging a child’s mind and allowing them to freely..